The month of August was filled with opportunities for BCHN to publicly celebrate and give thanks. We welcomed clients and associates of two more health centers to our network: Via Verde Family Practice, a Montefiore health center in the South Bronx, and Stevenson Educational Campus School Health Center in Soundview, a member of the Montefiore School Health Program. Grant funding from the Bureau of Primary Health Care will enhance access to affordable, quality care, and support care coordination services that address the social determinants of health, including career development and linkages to internships for Stevenson students. 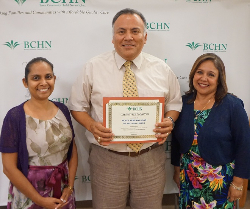 As always, BCHN celebrated National Health Center Week along with several million health center staff patients and supporters across the nation. At our Annual Recognition Dinner, we applauded community health champions right here in the Bronx - our patient navigators, community health workers, nutritionists, patients, and community partners. Seven patients shared their stories with the audience via video, and beamed with pride as they accepted awards for taking responsibility and successfully managing diabetes, hypertension and obesity through increased physical activity and better nutrition. And, on a beautiful summer day, New York City Councilmember Andy King joined energetic day campers, and the Evander Childs Educational Campus football team as they showed off their agility and fitness, going through a fun obstacle course, jumping double dutch, running relay races and topping it off with healthy snacks and beverages at our Annual Health Fair and Field Day. Some BCHN board members, including Eduardo Alayon, president, and executive team representatives shared in wonderful tributes to health center movement pioneers with more than 2,000 attendees at the National Association of Community Health Centers’ Annual Community Health Institute in Orlando, FL. In celebrating the 50th anniversary of the first two health centers, the torch was passed to a new generation of health center leaders for social change. They have accepted the challenge of maintaining the gains and charting new paths to ensure that health is recognized as a right for all and not a privilege for a few. 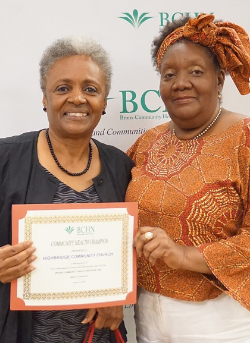 In celebration of National Health Center Week, Bronx Community Health Network, Inc. (BCHN) held its 10th Annual Community Health Champions Recognition Dinner to honor BCHN’s health educators, nutritionists, patient navigators, and patients from each of the 17 affiliated health centers. Read more. BCHN is delighted to announce that it has added two new sites to its list of affiliated health centers – Stevenson Educational Campus school-based health center and the Montefiore Via Verde Family Practice. Read more. Engage-NYC’s latest campaign will officially begin on Thursday, September. 17, 2015. 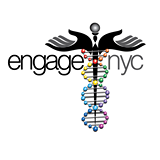 Engage-NYC is a joint effort by BCHN and Montefiore Medical Group to provide access to high quality health care for the Gay, Lesbian, Bi, Transgender, and Queer (LGBTQ) communities in the Bronx. 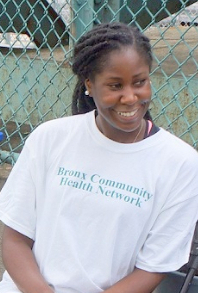 BCHN's affiliated healthcenters in the Bronx are caring places where doctors understand their patients needs and lifestyles. The LGBTQ population will receive caring, sensitive, primary care, and Pre-exposure Prophylaxis (PrEP) treatment to prevent HIV infection. For more information of Engage-NYC and PrEP go to, http://www.engagenyc.info/ or follow Engage-NYC Facebook (hyperlink: https://www.facebook.com/engagenyc). 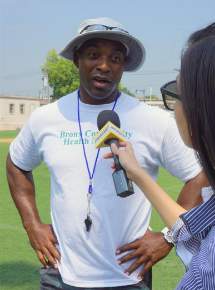 REACH CHAMPS officially kicks off its Shop Healthy initiative with coalition partner GOTHAM HEALTH/Segundo Ruiz Belvis on Thursday, September 17, 2015 at the Immaculate Conception Church 389 E. 150th Street (Melrose Ave entrance), Bronx, NY 10455, from 11:30 am – 1:30 pm. All those wishing to attend should RSVP by September 14th, 2015. 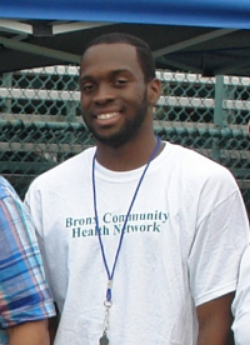 Contact, rodrigus6@nychhc.org (718) 960-2607 or VEGAM@nychhc.org (718) 579-4040. 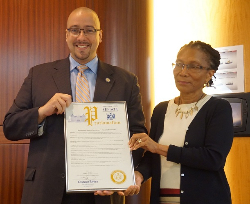 The Bronx REACH CHAMPS steering committee meeting will be held on Wednesday, September 16, 2015, from 10 am - 12 pm. Bronx residents interested in joining the steering committee and helping improve the health of the Bronx are invited to attend. For more information contact Michael Hernández at reachchamps@bchnhealth.org . On Wednesday, August 12, 2015, BCHN held the first Community Engagement Meeting at the Bay Eden Senior Center. The event drew representatives from the Bronx REACH CHAMPS coalition partners, community organizations, health centers, Montefiore Medical Center, and the New York City Department of Health. Representatives from area legislators were also on hand to lend their support. Attendees participated in community engaging conversation about health issues facing Bronx neighborhoods. Read more. 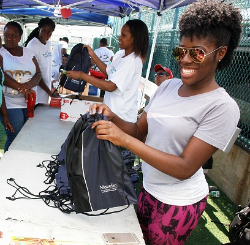 BCHN's annual Health Fair Field Day took place at the Evander Childs Educational Campus on Tuesday, August 18. The fun-filled event focused on teaching children about the importance of physical activity and good eating habits. The children participated in relay races, obstacle courses, jump-rope, and Double Dutch. Read more. This summer BCHN was privileged to work with four dynamic interns whose work greatly impacted BCHN as a whole, and helped shape REACH CHAMPS-related events. 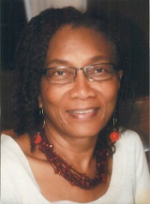 Adjoa Gyimah is a Jill of all trades at BCHN. She began her second summer internship assisting the finance department prepare for the annual audit and capped off her summer by helping the organization prepare for events such as the 2015 Community Health Champions Recognition Dinner, the Annual Health Fair Field Day, and the various REACH CHAMPS events including the REACH CHAMPS program’s first community engagement meeting. Alexei Silva has a way of getting people moving. 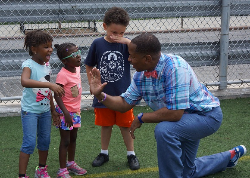 He got the attendees at the 2015 Community Health Champions Recognition Dinner to move along and participate in the Nae Nae, and helped guide the children during the annual health fair field day through a series of physical activity events. Check out where BCHN and its partners have appeared. @BCHNHealth Always your friend and partner! Keep up the great work. Congrats!